BABY HUEY Hard Times vinyl at Juno Records. 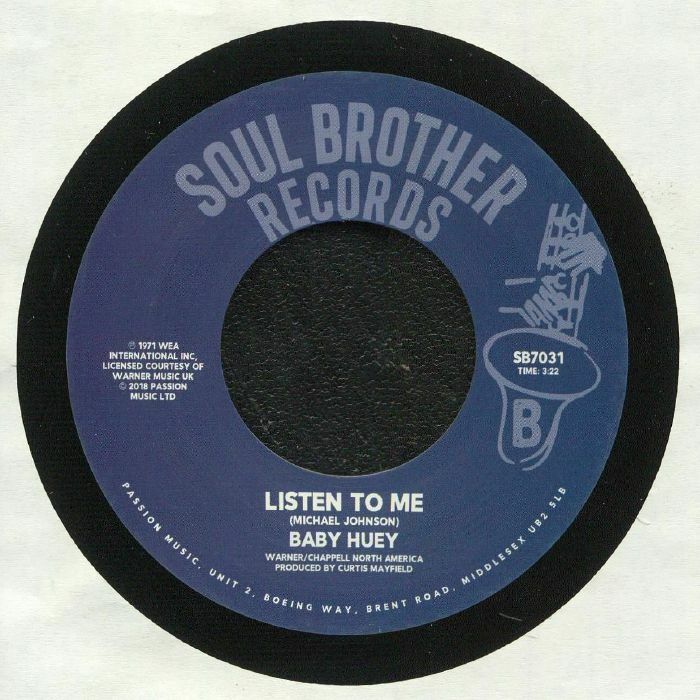 Powerful belters from soul supernova Baby Huey. The only solo 45s he cut for Curtom Records before he passed away aged only 26, this was released posthumously and OG copies regularly go for over 200 pounds. 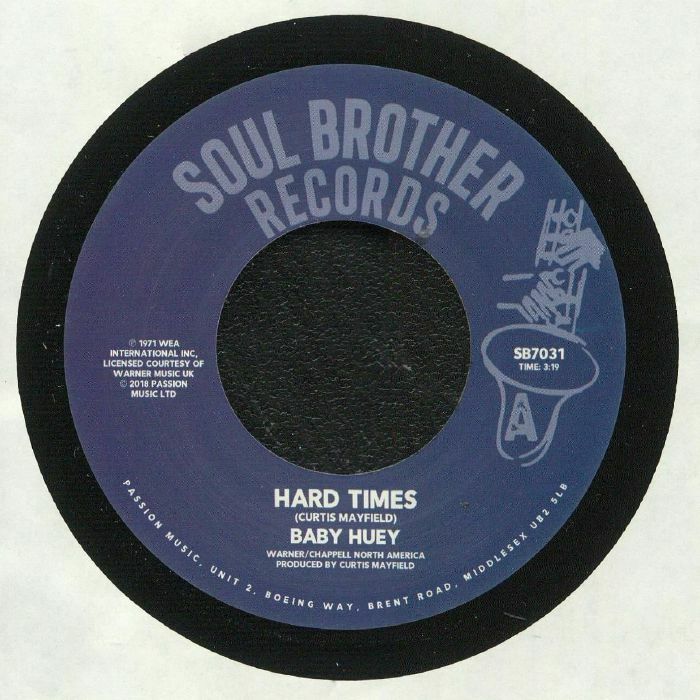 Now reissued on Soul Brother, the two sides give you the full fat Huey; "Hard Times" hits with a raw Lee Fields style gravelly, story-telling delivery while "Listen To Me" shows Huey's deft ability to band-lead an all-out rock jam. Raw and emotional, Huey left this world far too soon.